Your children and grandchildren deserve a Free Country as do mine.I believe Political Correctness and Cultural Marxism are a cancer on Society.Our basic God given Rights of Free Speech,Freedom of Religion have been eroded as we live in a rule by the bureaucratic State. My political role model is Ronald Reagan.He honed his communication skills for years,out among “regular people”,before running for political office.He advocated the principles of personal freedom,personal responsibility and free enterprise and did not back off those principles in the face of “Progressive” screeching. “Rules for Radicals” by Saul Alinsky. Hillary Clinton in 1969, wrote “‘There Is Only the Fight …’: An Analysis of the Alinsky Model,” a 92-page senior thesis at Wellesley College on the elder radical’s tactics. At the Clintons’ request, the thesis was embargoed until after they left the White House.This is the playbook for the “Progressives”. 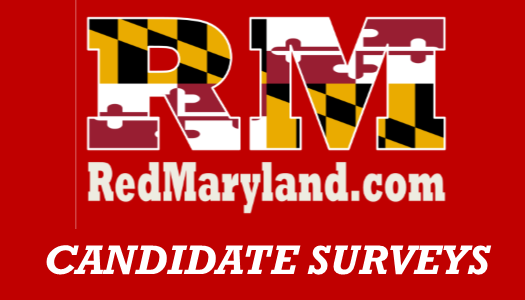 My role on the Central Committee is to build the Republican Party in Baltimore County. This Party Building includes advocating issues that advance Liberty,the Rule of Law,and Smaller Government.This should be done by mobilizing angry voters rather than complaining,We should take charge of our environment in Baltimore County. The biggest issue or challenge is energizing our base and getting them out to vote.Re-electing Governor Hogan is super important for Re-Redistricting.Picking up 5 State Senate seats and enough Delegate seats to sustain Governor Hogan’s vetoes is critical. Lower taxes and spending,Look at the Baltimore County School System and Developer Handouts. I am a total supporter of our Second Amendment rights.I support “Shall Issue” for concealed carry in Maryland.I was totally opposed to HB 1302.